The Real Junk Food Project in Birmingham. Most people who visit this site will know know I am passionate about all things Green and sustainable: I volunteer for Birmingham Green Party and I founded – and continue to moderate daily – Birmingham Freegle. I recently found out about the absolutely amazing work that the Real Junk Food Project in Birmingham does, and I was simultaneously amazed and horrified. 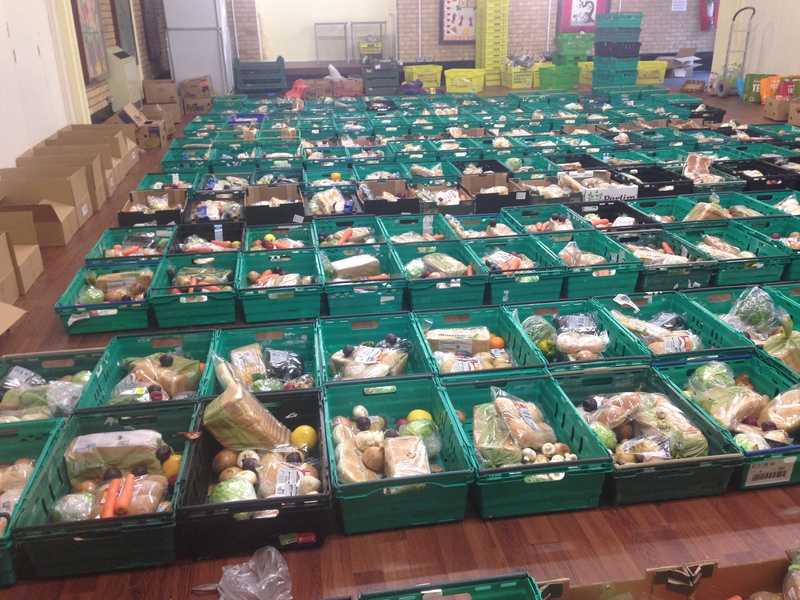 Amazed because they pick up food from supermarkets in Birmingham that would otherwise go to waste and give it to anyone who wants it… – whether they can afford to pay for it or not. Horrified because Birmingham wastes over 700 tons of food every single day! What the Junk Food Project does is just outstanding: simultaneously addressing the issues of hunger and wasted food. But I cannot help but think of what an utter indictment of consumer capitalism it represents. Think about it – why do the supermarkets throw out all of this in-date food in the first place? – because they can. The costs of it are passed onto their suppliers and they do it because they think that their customers will not buy something that is going out of date in 3 or 4 days. These are just some of the boxes of food distributed by the project every week that would otherwise be wasted. The profit motive wins out over conserving food – and in case you needed reminding, we have just 60 years of topsoil left. Capitalism decides that it is better to throw away perfectly edible food rather than distribute it. If the food we produce was just distributed evenly there would be no hunger. Instead rich people make more money while poor people starve to death. But as long as corporate consumer capitalism exists, profits will be more important than people. Now my anger has been sated by ranting about this issue, please do not let that stop you from visiting or donating to the Real Junk Food Project in Birmingham. 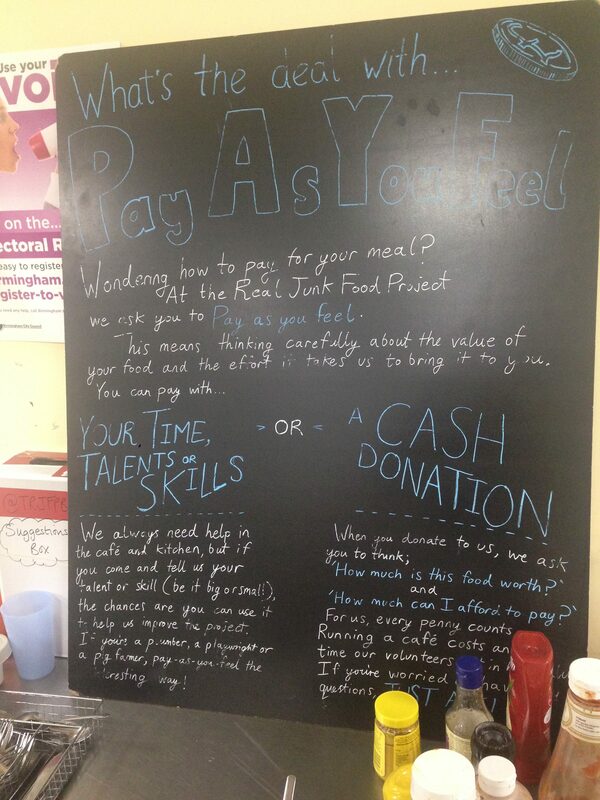 This entry was posted in birmingham freegle, real junk food project, Uncategorized. Bookmark the permalink.